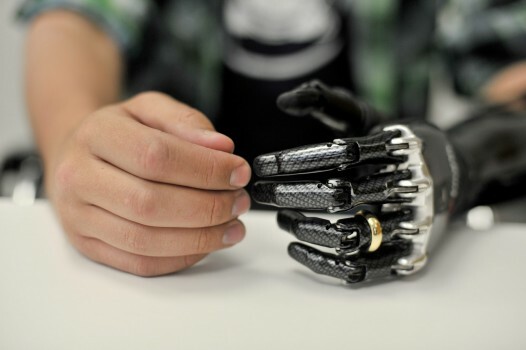 Winner of the New Mechanical Product of the Year 2015, the Bebionic Hand is one of the most advanced myoelectric prosthetic hands available today. The bebionic utilizes leading-edge technology and ergonomic features such as 14 different grip patterns and hand positions to handle almost anything that you need to do in an average day, from eating meals and carrying bags, to opening doors, switching on lights and typing. Its sleek and modern design is small and perfectly formed, yet has a natural appearance that functions and feels incredibly lifelike, especially when covered with a lifelike silicone skin that bebionic also offers. 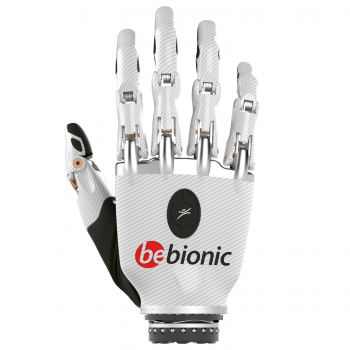 The bebionic can be managed, monitored and configured wirelessly, using smart electronics and bebionic’s easy-to-use flexible programming software, bebalance, which is supplied with every hand.